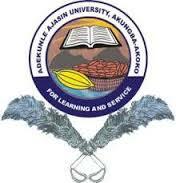 Adekunle Ajasin University, Akungba-Akoko (AAUA) Freshers/Newly Admitted Students Matriculation Register Signing Notice and Deadline for 2017/2018 Academic Session. Any fresh student who fails to complete the registration formalities and sign the matriculation register within the stipulated deadline would be deemed to have forfeited his or her admission. The implication of this is that such students may not have the opportunity of applying for leave of absence since they failed to meet the deadline.